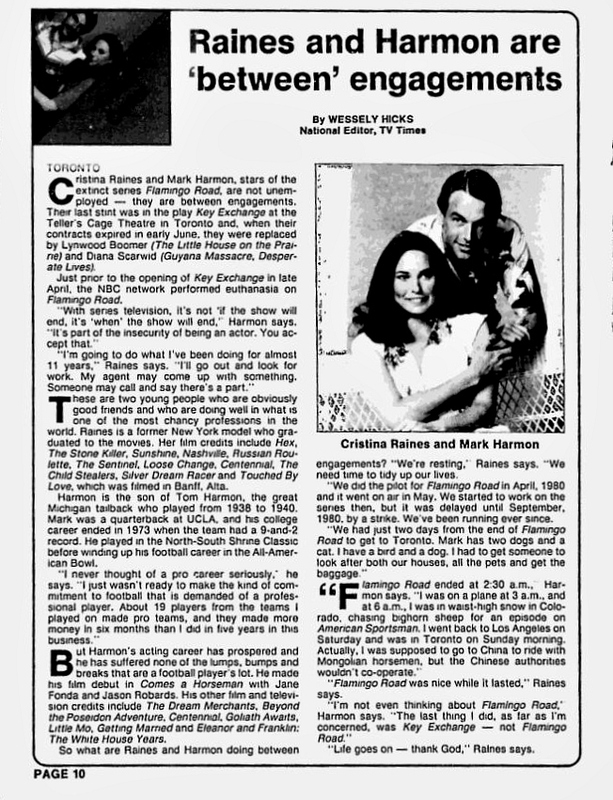 Here a newspaper clipping about Cristina Raines and Mark Harmon from June, 1982. The article discusses Key Exchange, the stage play that the pair did together, and the demise of their TV show, Flamingo Road. Brief biographical and career information is also given, as well as quotes from both Cristina Raines and Mark Harmon.